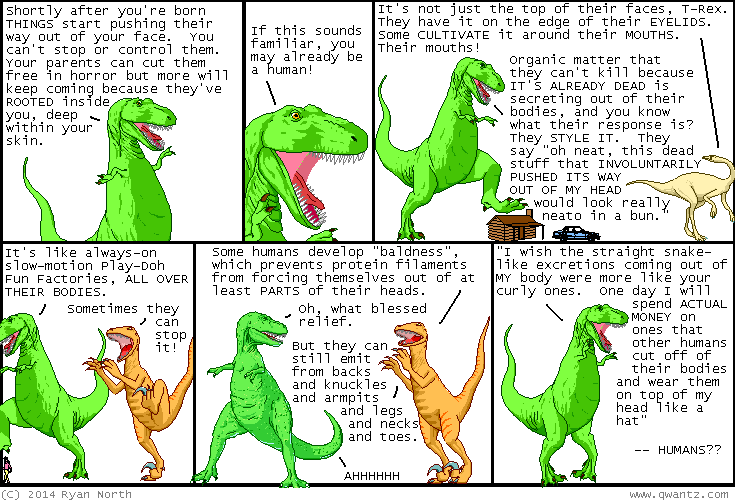 Dinosaur Comics - December 15th, 2014 - awesome fun times! –WHAT'S NEXT, A NOVEL ABOUT A ROMANCE, A "ROMANCE NOVEL" IF YOU WILL?? December 15th, 2014: BODIES, AM I RIGHT? ?